Dr. Marzano calls himself an education expert. His specialities include competency-based education and teacher observation. Dr. Marzano, who has long been in the education reform business, recently acquired the Reinventing Schools Coalition. Dr. Marzano now offers a suite of consulting services for districts looking to implement competency-based education, which is especially convenient because the recent reauthorization of the Elementary and Secondary Education Act offers a pile of money for states to move to this type of system. Here’s a map showing states where Marzano is currently at work. If you don’t see yours highlighted in red, be on the lookout. Competency-based bills are coming at us fast and furious. Marzano also recently endorsed a tool called iObservation that administrators can use to monitor how closely teachers’ practice aligns to his theories of good practice. I have been teaching over 20 years. My experience with this new evaluation system has been overwhelming to the point of getting physically ill. In my opinion this is not a fair system to evaluate a teacher. I think someone must be making a lot of money with all these workshops and the materials that go with it. I also think is a way of replacing teachers with more years of experience and a higher salary. I think it would be more enjoyable to read a legal document than this garbage! This is undoubtedly distracting from my ability to teacher student well. Most of my time is spent on the process and requirements of Marzanos system rather than preparing, planning and actually teaching my students. I have been overwhelmed by the requirements imposed by iObservation. The workshops and forms required take away from the time I would be giving to my students. I am most angry regarding the amount of money our district is spending and what the Marzano organization is reaping. If we don’t simplify this, there will be a lack of teachers in the nation cause the word is spreading and college students are getting frustrated before getting into the classroom and dropping out. We need to work hard without slavery! How is this making me a better teacher? MOST of the Marzano strategies are nothing new -just repackaged and sold to our school for a nice price. What a racket! In 2012, Marzano Research Laboratory received a contract from the U.S. Department of Education to establish a new Regional Education Laboratory, where Dr. Marzano will serve as executive director. You read that right. Our federal tax dollars are paying for Marzano to conduct the highly questionable research that he will then use to turn a profit. Of course, we shouldn’t be shocked. Using our tax money to develop and sell snake oil is par for the course for the U.S. Department of Education. Our district was on a kick about 5 years ago with Marzano. I love how someone who has never been in the classroom as a teacher is a “guru.” Teachers are so over it. Has your district since dropped Marzano? For the most part, yes. They still offer some online classes that offer videos of his but we have since moved on to another “guru.” It really never ends. I’ve read that he started out as a HS English teacher in 1967, but whether or not he was ever in the classroom, his work speaks for itself. I taught at a school that used his standards based grading model. We didn’t use rubrics, we just wrote descriptors of proficiency, and above and below proficiency, and then placed that information in a series of boxes that described what different levels of proficiency over a series of standards looks like. So rubrics. What is really sad is that Marzano started out actually with really good ideas and seminars for teachers. And, If you were to use the totality of iObservation, the system might be valid. But there is an overemphasis on just extracting certain domains and evaluating teachers on subjective criteria. Yes – this instrument can be VERY ABUSIVE. The lab idea is scary too. This is a man who once had it right but lost it in the quest for power and prestige (and money). The information in this transmission is intended only for the individual or entity named above. It may be legally privileged and confidential. If you have received this information in error, notify us immediately by calling our operator at *(215) 269-7390. If the reader of this message is not the intended recipient, you are hereby notified that any disclosure, dissemination, distribution or copying of this communication or its content is strictly prohibited. Dr. Marzano’s The Art and Science of Teaching was required reading for all teachers in MSAD #27 during the last month of school in 2014. It was also a requirement to blog with colleagues on our thoughts about it. The district not only bought the books, but purchased the iObservation software for teacher evaluations. iObservation does not align with proficiency based education curriculum mandated by the State of Maine Department of Education. How much did these books and iObservation Software cost? Maybe this is why MSAD #27 had to layoff several teachers between 2015 and 2016. Dr. Marzano is making a lot of money with his research. He is a business man, not an educator. Outstanding piece. You shine even more light on Marzano’s Madness. I appreciate your reference to my blog. I made a very sophomoric punctuation error in the passage you quoted. I never noticed it until I read the passage on your blog. I’ve since fixed it on mine. I used an apostrophe for the possessive of “it.” ARGH. I’m sorry. Your blog is fantastic! Thanks for the great work you do! FINALLY! 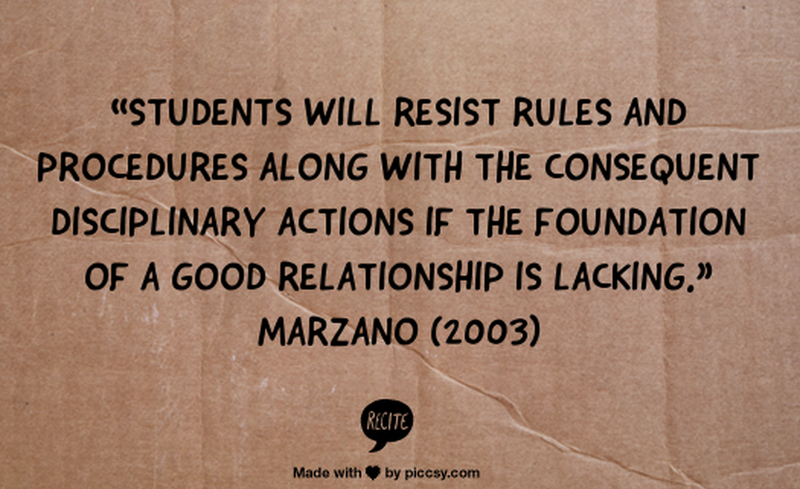 Marzano has never had an original thought in his head! I’ve followed his “work” for almost 25 years now, way back to OutcomeBased Education, and whatever the flavor of week is, he soon comes out with a book or other ways to make money on it. You can’t imagine how happy this article made me. He can stay the hell away from Delaware, thank you very much!!!! We all know what Marzano is about: 1) Make Marzano a lot of money. 2) Destroy public education. 3) Fire teachers at anytime. 4) Take teachers pension & benefits if fired. 5) Control teachers & have them constantly walk on egg shells. *It’s not evaluating a teacher on teaching ability, it’s evaluating a teacher’s ability to change how they teach. Which is basically like a robot!!!! Outstanding Emily! Thanks for your efforts to highlight this travesty. Thank you for putting this article together. Well done. Washington State is not highlighted on the map, but Marzano’s framework was one of three “choices” for Teacher Eval system we adopted about 4-5 years ago. My district went with Marzano and I was part of the pilot which often meant talking other teachers off the ledge or out of quitting teaching entirely. A superintendent in a district in Arizona shared that Bob Marzano’s cost for his three-day workshop was $50,000! Yes you got that right $50,000, so he had to pull together several districts to fund the workshop. We’ve got a couple of those education type gurus; they revise materials just so that they generate more money for their own bottom line. No wonder the federal government is giving them grants… it’s all about innovation and how you make money when you create a solution-problem enticed by non-educators, who are all about themselves. How many of these people who’ve created these “solutions” just generated even more problems with promises The truly rely on the dedication, personality, and commitment of teachers. These programs on their own don’t do anything . Many of the “Marzano Strategies” are a compilation of things teachers had been doing for years, and sharing with their colleagues for free. In the past we would be given new ideas and approaches and told to try them out and implement the ones that worked for us. Now we are told what to do across the disciplines, even if some of the strategies aren’t ideal for our particular subjects, or strengths. Overall the best ideas I’ve gotten have been from my colleagues. No highly-paid consultants were involved. Sometimes we weren’t even paid for our after school meeting time, but the meetings were productive and helpful. Pingback: Repost>CURMUDGUCATION: Robert Marzano Takes on Edublogger | Mister Journalism: "Reading, Sharing, Discussing, Learning"
Look at the Farmington Municipal School website, Farmington NM, at the prof dev model. Marzano. Add New Mexico to the list?